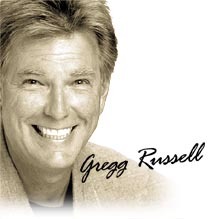 For over 25 years, Gregg Russell has taken great pride in the relationships that he has developed with his guests and fans. In keeping with this tradition, we at www.GreggRussell.com are dedicated to protecting your privacy and handling any information we obtain from you with care and respect. In order to extend and promote the "Internet Safety" ideals and atmosphere, the Gregg Russell web site adheres to the strictest policy of security and privacy. The security and confidentiality of your information is extremely important to us. We have implemented technical, administrative, and physical security measures to protect guest information from unauthorized access and improper use. The information we gather will not exceed a) a reliable email address; b) first and last name; and in the case of online purchases, c) a mailing address; d) payment information. This information is stored off-line and is not accessible to any other individual via the internet. Email addresses and names will NOT be shared with any third party for any purpose, and we reserve use of Email addresses and names only for communications in response to direct contact from the individual. You will not receive spam (unsolicited commercial email) in any way from this site. The only information we collect from kids under age 13 for Gregg's "Fan Club" or "Bubble Gum Club" during the registration process is first name, parent's e-mail address, and the child's birth date. At that time those registration pages disclose the full use of such information and the benefits the individual will derive from registering. We collect birth dates to validate the ages of our guests, including kids. We do not collect any other personally identifiable information from kids during our registration process. Note that all sites that are directed to children under 13 are prohibited by law from conditioning a kid's participation in an online activity on the kid's providing more personal information than is reasonably necessary. We adhere to the same regulations and requirements as set forth by the TRUSTe organization. Keep your passwords private. Don't even tell your best friend! No honest online service will ever ask for them, so don't tell anyone. Never give out personal information like your name, address, or phone number to anyone via email or online chats. Always delete unknown e-mail attachments without opening them. They can contain destructive worms, zombies, or even viruses that can wreck your computer. If a person writes something that is mean or makes you feel uncomfortable, don't respond. Just log off and tell your parents, who can report it to your online service provider. Always remember: nothing you write on the Web is completely private -- including e-mail. So be careful and think about what you say and where you say it. Many people who seem to be nice, cute, and funny online are not. Never make plans to meet an online "friend" in person. WHEN IN DOUBT -- always ask your parents for help -- and just LOG OFF if you're not sure! You can always go back online later. GetNetWise is an online resource for families that delivers information and tools needed to guide children to a safe, enriching experience online. GetNetWise contains information parents need to safeguard children while providing access to an unprecedented wealth of global resources, information, and contacts available on the Internet.